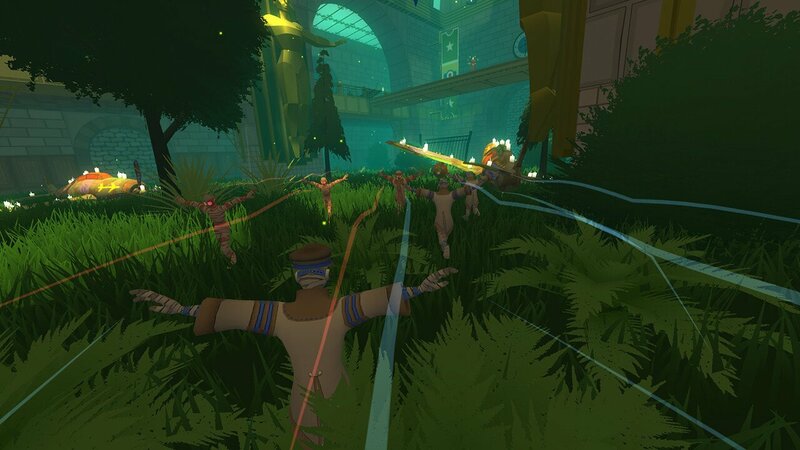 Cult of the Wind is a third-person multiplayer shooter where everyone pretends to be an airplane. As a member of a cult that worships the wreckage of old warplanes, players will compete in human dogfights online. The game has an emphasis on fast, vertical combat where a player’s damage is based on how fast they are moving. There are also bonuses when “flying” with other players in a squadron. Each character will also have a heavier, more mechanical feel when moving to give them the feel of being a vehicle. The game will also come with a map editor that will allow players to edit already existing levels and create their own. With gameplay mechanics based on levels, players can edit and create almost any kind of gametype. This can allow the creation of races and even platforming stages. Cult of the Wind is currently on Greenlight and is expected to come out sometime in 2014 on PC and Mac.